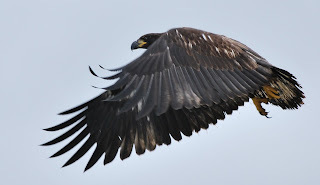 This is a baby eagle...wow...such great strength it portrays on this photo! A true beauty of nature and a definite reference to the power of nature. A horrific football accident resulted in total blindness for the renowned operatic tenor Andrea Bocelli, at the tender age of 12. His vocal talents grew worldwide only because of his determination to keep reaching from within through his strenth and spirit. I'm writing this short post today to empower my viewers to use your inner strength and power to soar above adversities, especially when you think you are falling so far from the finish line. You can do it!!!........ but it will take determination on your part. Very well spoken Debbie! We all need a little encouragement to keep fighting and continue to find our strength within to live from day to day. You are truly a blessing! Your husband is a very lucky man, to have you in his life.